Here we’ve provided a whittled list of expert tips to combat your winter hair woes even before the season starts. 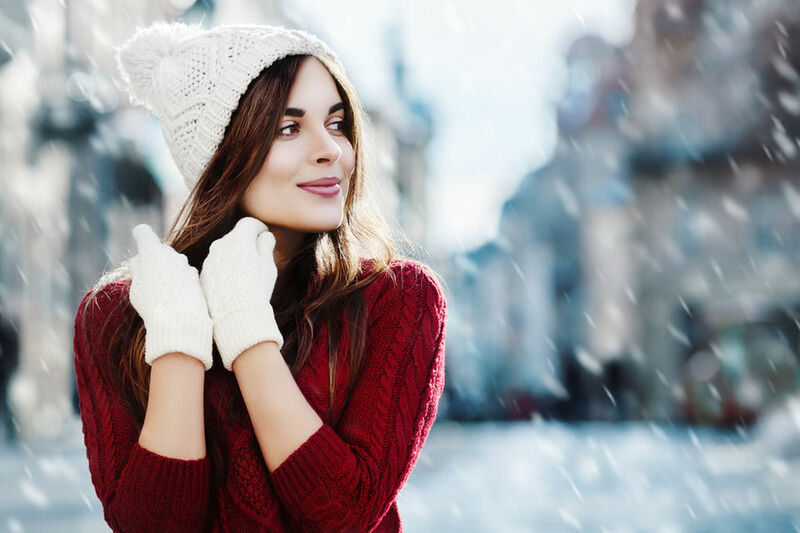 These tips from the certified hairstylists in Albuquerque help you to prepare your hair for cold-weather and keep it in tip-top shape all the way to New Year’s. Balanced moisture in the inner structure of each strand is essential to get a frizz-free texture with any hair type. With the balanced amount of moisture in your hair shaft, winter will not cause your strands to frizz. Use a shampoo or conditioner to fix any damages caused by color processing, perming, and natural UV and UVB stress. Focus on a cleansing routine to help prevent cold-weather flyways and retain moisture in your hair. Using products with silk-amino acids create a positive charge to damaged hair fibers and keep your curls polished. When your hair tresses are affected by severe cold weather, deep conditioners can bring you some serious hair help. Use conditioners regularly to repair damage and enhance hair color. Dry air is the most common cause for split ends. As you prepare for the deep freeze, schedule regular trips to the hair and beauty salon in Albuquerque. You must follow this because split ends and damaged cuticles will cause your hair to appear thinner and give it that unwanted stringy look. A quick chop towards the ends of the weakened hair is all you need at the end of the day to make you stay calm and relax. Did you know the lack of moisture in the winter air can have a damaging effect on our strands? Steaming your hair opens up the hair cuticle and adds moisture to your hair. This protects your hair from winter damages. When it comes to maintaining the moisture level of your body, start from the inside by drinking lots of water. According to a few statistical reports, about 64 ounces per day is a standard recommendation, but these numbers may vary depending on your body and lifestyle. Retain the length and moisture of your hair through protective styling with braids. Keeping the hair away from the cold altogether also reduces the chances of hair damage during the holiday season. One of the easiest ways to protect your hair from the damages of cold weather is to cover it with a hat or a cute head wrap. Get advice from your hair and makeup artist in Albuquerque for any ideas and suggestions to keep your hair healthy throughout the festival season.